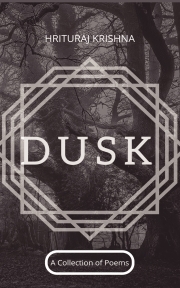 "Dusk"is a collection of poems based on various issues of life .This book will question your thoughts about love ,human and ones way of thinking . Hrituraj Krishna is pursuing his Bachelors in English from St. John's College,Agra. This is his first book but has been doing poetry on Instagram for a while now,then finally decided to self publish his book .